I have found over the years that a few drawings can quickly aid understanding of technology topics. Here is the first in a series of Chalk Talks where I address current technology topics and questions. 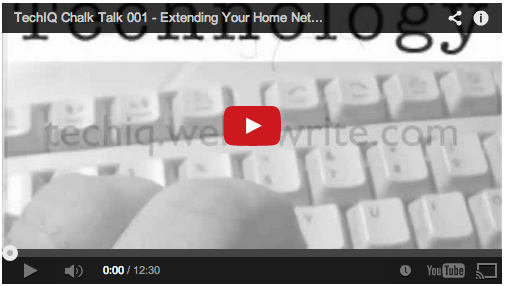 This "Chalk Talk" steps you through 4 methods of extending your network to reach other areas of your house and other devices like your iPad, Internet-connected TV or media device and more. Please Like and/or subscribe to my channel.